β-Nicotinamide mononucleotide is a product of the extracellular Nicotinamide phosphoribosyltransferase (eNAMPT) reaction and a key NAD+ intermediate. PAK4-IN-1 is an inhibitor of p21-activated kinases (PAKs), with IC50 of ≤100 nM in MTT assay. 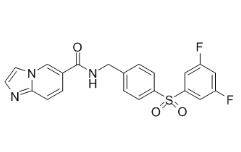 Nampt-IN-1, also known as LSN3154567, is a potent and elective NAMPT inhibitor. 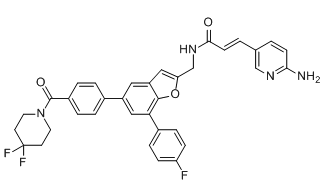 GNE-617 is a specific NAMPT inhibitor that inhibits the biochemical activity of NAMPT with an IC50 of 5 nM and exhibits efficacy in xenograft models of cancer. 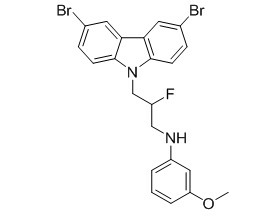 STF-118804 is a highly specific NAMPT inhibitor. 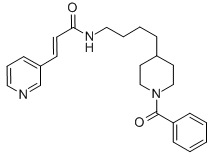 GMX1778(CHS-828) is a potent inhibitor of NAD+ biosynthesis enzyme NAMPT with IC50 <25 nM. APO866 effectively inhibits nicotinamide phosphoribosyltransferase (NMPRTase) with IC50 of 0.09 nM. Phase 1/2. 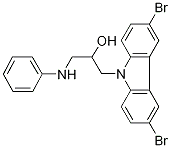 P7C3-A20 is an analogue of P7C3, and is a proneurogenic, neuroprotective agent. P7C3 is a NAMPT activator. 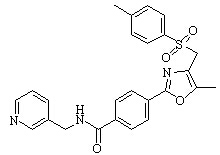 P7C3-OMe, also known as (R)-P7C3-OMe, is an analogue of P7C3 and P3C3-A20.